Sierra Concept’s promise is to serve the home owner through an ethical, systematic approach. An approach that ensures a process which is an enjoyable, trouble-free, and rewarding process which guarantees a high quality finished product. Mold, mildew, rotten wood and electrical concerns are just a few of the issues that arise when your basement is leaking. Whether you have a finished or unfinished basement, a floor covered in water will eventually cost you. Once that water has found its way in, every change in weather will cause headaches. Whatever your issue may be, at Sierra Concepts, we want to put your mind at ease. Below are some of the services we offer to help the homeowner. 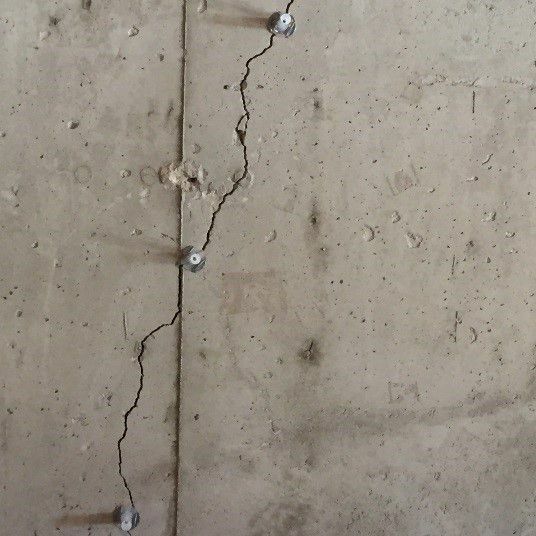 There are two things that are true about concrete; it’s hard and it cracks. These cracks are common and expected. Water evaporates from the wall as it cures, causing the wall to shrink, which in turn can lead to cracks. Usually only minor issues are initially associated with cracks; however over time water can sneak in and even minor cracks can lead to larger problems, such as a loss of structural integrity and/or most commonly water leakage. On the bright side, by using the high-pressure injection of epoxy or polyurethane foam repair materials, these cracks can be fixed without any intrusive excavation that disrupts your landscaping. An epoxy adhesive is used to seal over the surface ports and the exposed crack. The paste cures in around 30 minutes and provides a surface seal that holds up under the pressure of the injection. The exposed crack is covered completely, with the exception of the port holes. 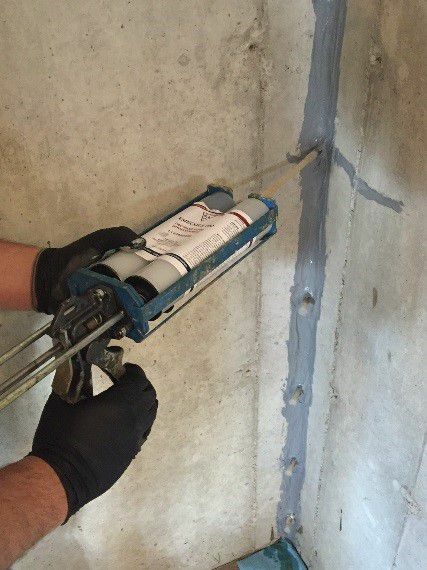 The epoxy or urethane is injected into the wall, and pressure pushes the product deep into the crack. It takes 48 hours at room temperature for the epoxy or polyurethane to cure and penetrate into the cracks. The injection ports can then be removed by striking them with a hammer. Water is always looking for an area of low pressure, which it usually finds in your basement. The sump pump works hand in hand with your Drain Tile system, which creates an area of low pressure that invites in the water. Once the water is in the Drain Tile it flows to the Sump Pit where the Pump sends it away from the foundation. This system prevents the hydrostatic pressure from pushing through the walls and floors of your basement. If you don’t have Drain Tile system or a Sump Pump, we can retrofit your basement for both. The existing concrete floor is broken out about one and a half to two feet from the interior walls of your basement. Then some of the dirt next to the footer is removed, and replaced with stone and Drain Tile. The Drain Tile is hooked up to the Sump Pit and new concrete is spread over the repaired area. Radon is a radioactive gas. It’s created by the naturally decaying uranium that is found in nearly all soils. It moves up through the ground to the air and into your home through cracks and other holes in the foundation. Radon could potentially build up in any house unless there is a ventalation system installed. This means new and old homes, well-sealed and drafty homes, and homes with or without basements. You can't see, smell or taste it. But it may be a problem in your home. Radon is estimated to cause many thousands of lung cancer deaths each year. Today in the United States, the Surgeon General has warned that radon is the second leading cause of lung cancer. Only smoking causes more lung cancer deaths. Radon mitigation involves venting the radon gas out of your house through the use of the Drain Tile and Sump Pump systems. Luckily, radon mitigation is extremely effective and only a phone call away. In some cases it is necessary to fix a problem from the outside. In such cases the earth is moved, the surface is cleaned, and a rubber patching product is attached to the area. The rubber patch seals the surface, and is usually used on cracks, cold joints, and honeycombing. The control method is used to cover cracks and honeycombing from the inside. 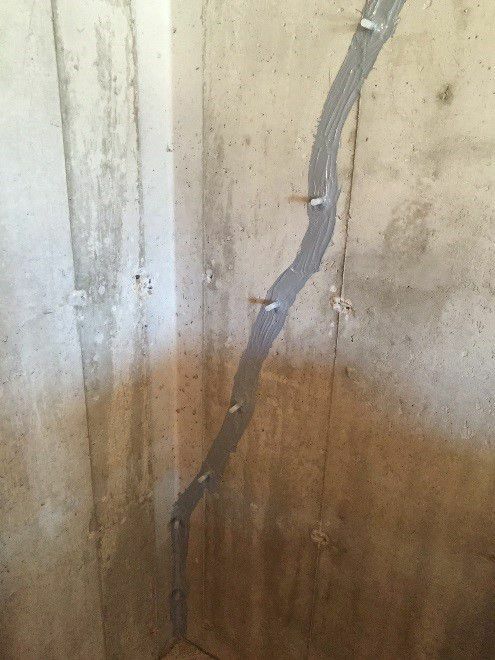 By sealing a plastic dimpleboard over the problem area, and running it down into the cement, an air barrier is created that directs the water down to the Drain Tile and then out of the house. This method allows the water in and then directs it out.